Apple doesn’t lag behind, especially when it comes to music. The iTunes Store was one of the first ways to legally buy digital music, Steve Jobs managed to coax the record labels into agreeing to drop DRM, and iTunes Match gave people who’d invested years into growing large personal music collections a way to dip their toes into the convenience of streaming. Still, when it comes to a real streaming service, companies like Spotify and Rdio are way ahead. Apple bought Beats Electronics in 2014, including both the headphone business and the Beats Music streaming service, but so far hasn’t altered Beats Music in any significant way. That’s about to change, according to 9to5Mac. Its sources say that Apple plans to relaunch Beats as a new service, with a new design and deep integration into iOS, iTunes on the desktop, and even the Apple TV. It’s about time I say—with the way Apple’s product lines are converging in your home, your car, your pocket, and even on your wrist, the time is perfect for Apple to reclaim its throne as king of digital music. I’m a streaming junkie. I’ve been a paying Rdio subscriber for years, and it’s completely changed how I listen to music. While I still play some of the old standby albums I’ve loved for years, having millions of tracks at my disposal all the time has expanded my repertoire in all directions and deepened my appreciation for genres and artists I probably wouldn’t have ever “invested” in by buying albums or even tracks à la carte. Good streaming services like Beats integrate lean-back listening experiences like tailored playlists, for when having 20 million tracks at your fingertips leaves you wondering what to play. Being able to see what my friends (well, my friends whose taste in music is good enough for me to want to follow them on Rdio) are enjoying has introduced me to new bands like Dale Earnhardt Jr. Jr. and the River Monks, and since finding them on Rdio I’ve wound up seen both of them live. I still have my own “collection” within Rdio of the stuff I love, including plenty of CDs that are collecting dust in plastic milk crates in my garage. I don’t miss the chores of cleaning up metadata and syncing music to my various devices, and I certainly don’t miss the ever-evolving headaches of using iTunes to consume that music. I was surprised to like “renting” music so much, but now that I’m hooked I can never go back. Beats Music as it exists does a great job of combining the “lean-back” style of streaming—the Pandora model, where you start a station or a curated playlist and let ’er rip—and the “lean-forward” style, where you queue up exactly what you want to hear, à la Spotify and Rdio. By adding human curation, Beats can help you find music you might like without you having to do much work. It’s pretty great, but the plans 9to5Mac’s sources outlined sound even better. Right now the only streaming service with real integration into Apple's platforms is iTunes Match, which...has its limitations. Deep integration into iOS, iTunes, and the Apple TV is a game-changer. I use Rdio on my Mac and my iPhone and stream it to my Apple TV, but the experience is always confined to the Rdio app or web player. iOS integration would let me ask Siri to start an album or a playlist, and hopefully all the apps that tap into the music library on my iPhone—think running apps and DJ apps just for starters—would finally be able to tap into my cloud library, and not just the smattering of tracks I happen to have stored on my device. Many of these apps can already play iTunes Match tracks you have stored in the cloud, but iTunes Match can be finicky to manage and it’s still limited, by design, to music you actually own. And let’s not forget about Apple’s HomeKit push. As the devices we saw at CES hit the market over the next couple of months, we’ll be able to control light and appliances around the house from the iPhone and Apple Watch. If you can summon Siri to turn on your lights anywhere in your house, why not your music? The piece are already there; for example, we know the Apple TV will be HomeKit’s hub. You won’t need it to control devices inside your house—you have Bluetooth and your Wi-Fi network for that—but to check up on your smart home gear from outside your home network, the Apple TV will serve as the gateway, an optional hub if you like. Well, great! The Apple TV is a cool device anyway! Usually smart home hubs are just…hubs, so at least this one also streams music and video. Spotify, Rdio, and other streaming music apps work with CarPlay already, but you only get Siri integration (which is CarPlay’s biggest selling point) with Apple’s apps—a perfect opportunity for Beats. 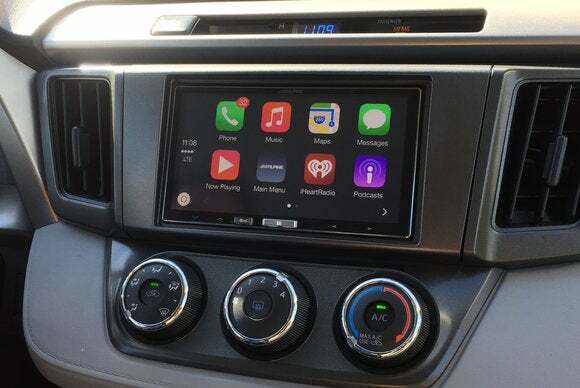 Speaking of CarPlay, that’s a natural place for streaming music to flourish, since your CarPlay stereo connects to your iPhone, which is just about always online. Music apps such as Rdio, Spotify, and iHeartRadio are already compatible with CarPlay, but you can only navigate them with the stereo’s touchscreen or dials, not with your voice. So far, voice control is limited to your iTunes library (including iTunes Match), but a deeply integrated new Beats service would allow for hands-free control in CarPlay, which would immediately give it the edge over its competitors. If you’re all-in on Apple’s ecosystem, Beats could even learn more about your tastes based on where and when you listen to music, on what devices. Eventually, I could have a workout playlist stored on my Apple Watch that gets auto-updated with new tracks that match my average pace. Beats on my Mac would put different genres and playlists front and center when I’m at work versus when I’m at home, and my favorite driving playlists would float to the top of the Beats app for iPhone when I’m in the car. I love the way Songza—a lean-back playlist service that was acquired by Google last year—can surface new playlists based not only on the time of day or your activity, but even on the weather, offering playlists of rainy day songs exactly when you’d want them. There’s no reason why Beats shouldn’t do the same thing. 9to5Mac’s report is worth a read, full of interesting tidbits that trigger the imagination. 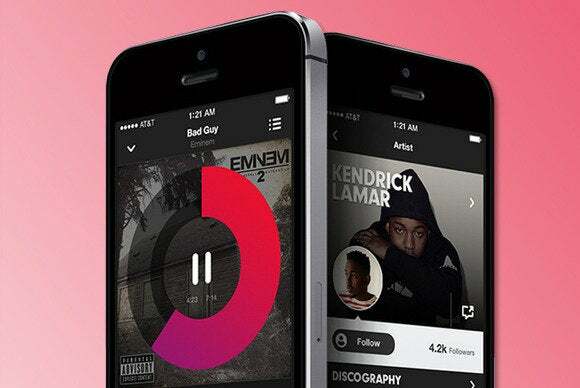 For example, the new Beats app will be the first time Apple’s ever done an app for Android. Beats today is entirely ad-free, meaning everyone pays to use it, so the price of the new service is important, and Apple may undercut its popular rivals by a couple of dollars per month. All of this points to Apple’s MO of designing with the end user in mind, and I think a new Beats service is just the thing to sweeten Apple’s ecosystem that much more.